Whether you have already returned from your holidays in Crete or you still enjoy them at one of the many holiday villas in Crete, you may want to experience the culinary side of the island! 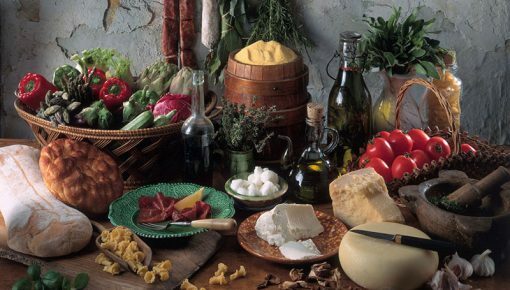 It is no coincidence that the Cretan food is responsible for the longevity of the Cretans for years. So we present you a complete Cretan meal with simple Cretan recipes that you can easily make for yourself or your family. Hungry for Holidays? 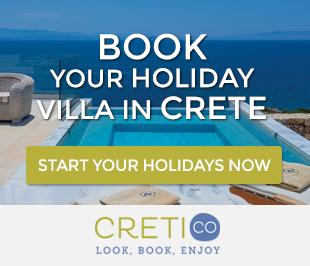 Check out our great collection of Holiday Villas in Crete. 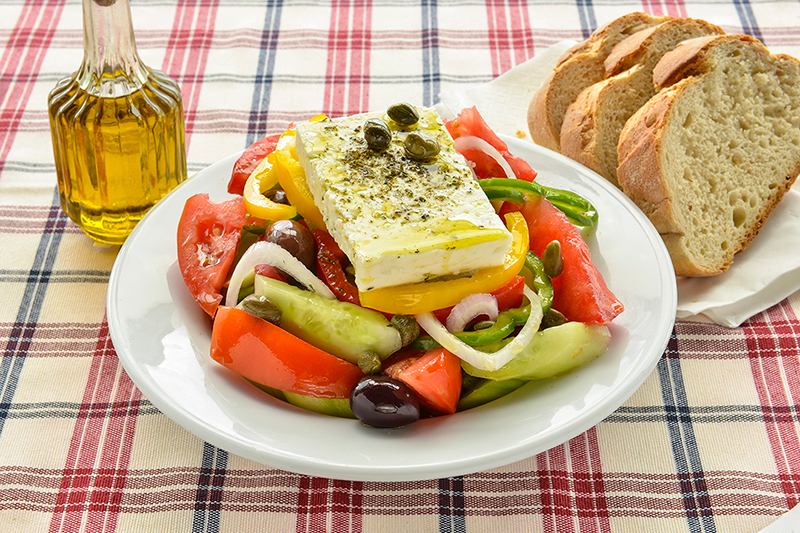 The Greek Salad is an excellent option for you to start your meal and, maybe, one of the easiest Cretan recipes. 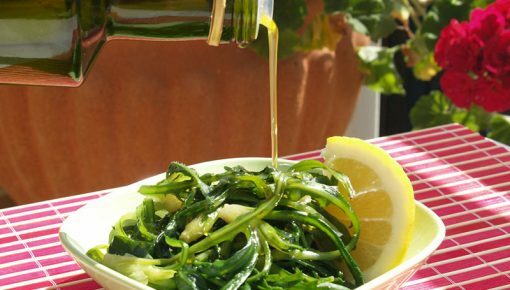 It is of high nutritional value, as you eat raw, fresh vegetables accompanied by the popular Cretan Olive Oil. 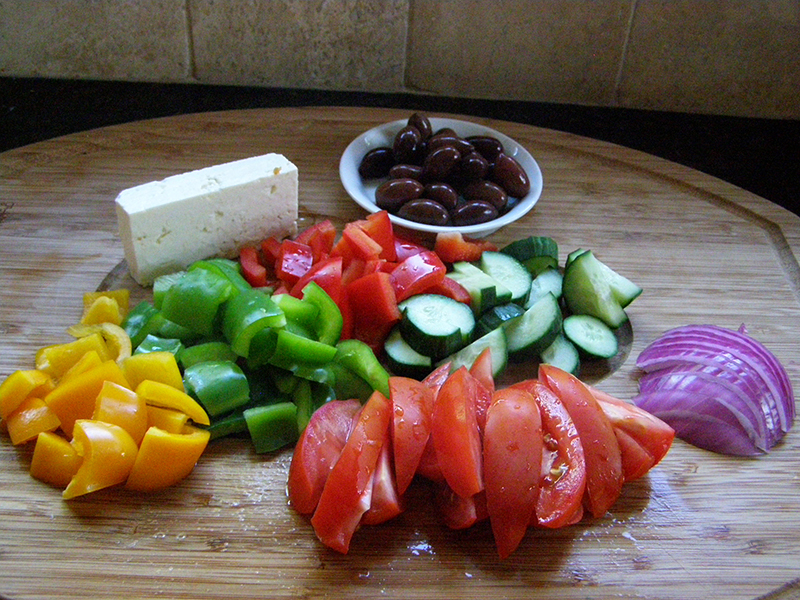 Slice the tomatoes, the cucumber, the onion and the peppers into pieces and mix them in a plate, with olives and “feta” cheese. At the end, add salt, pepper, oregano and olive oil. You may dip fresh bread or rusk in the olive oil and enjoy its unique taste! 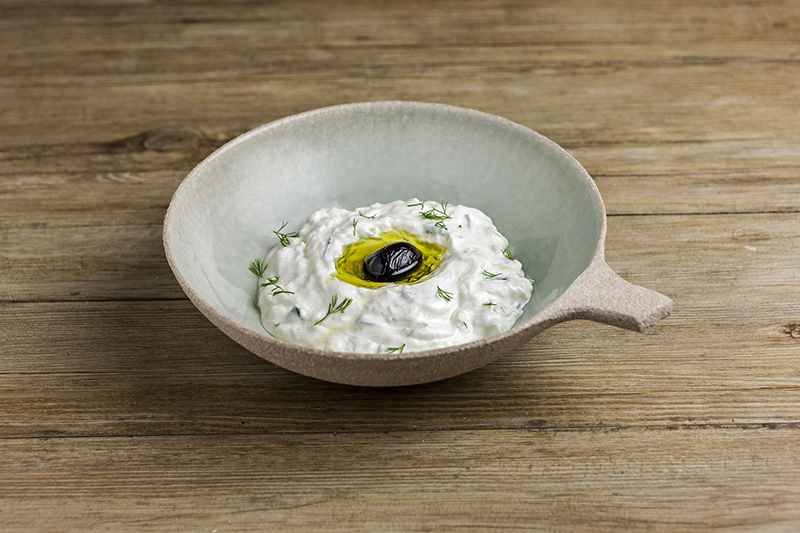 It is one of the most popular Cretan recipes and an excellent appetizer! Really easy to make and the taste is simply fantastic! Put all the ingredients in a bowl and mix them until they are homogenized. Put “Tzatziki” in the refrigerator. 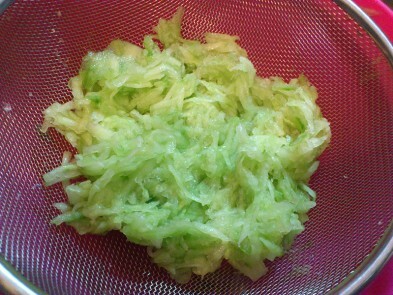 Grate the cucumber and drain it, put all the ingredients in a bowl and mix them until they are homogenized. After that put your Tzatziki Sauce in the fridge and let it rest. 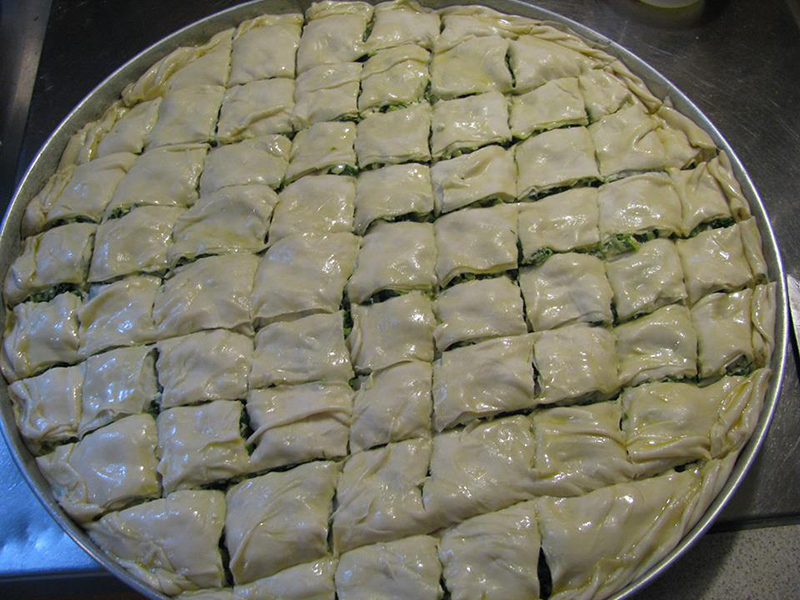 As many Cretan recipes have Turkish names, “Booreki” comes from the Turkish word “borek”. 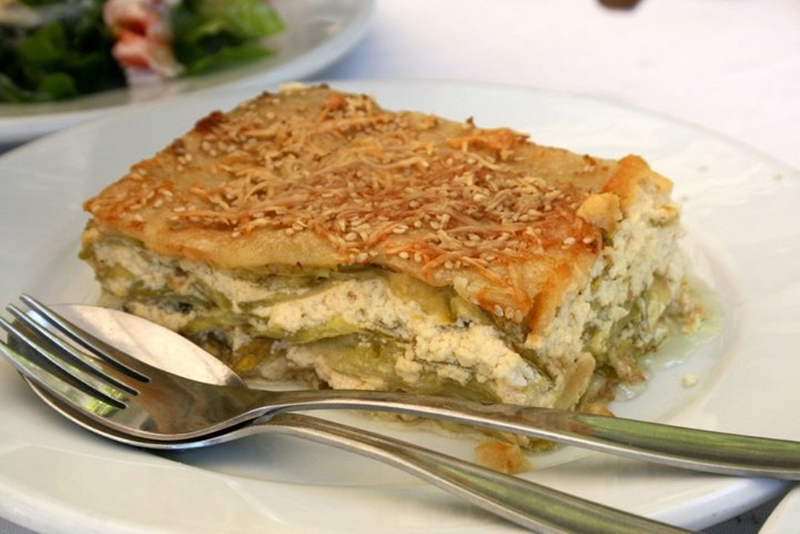 This traditional Cretan recipe is cooked mainly in Chania. It is a very tasty pie that can be the main or the side dish of a traditional meal. For the end, 1 tablespoon olive oil and 2-3 tablespoons peeled sesame. At first, prepare the dough. Mix together the oil, the raki, the water and the salt and, gradually, add flour until you have a soft dough that does not stick to hands. Just leave it for at least half an hour. 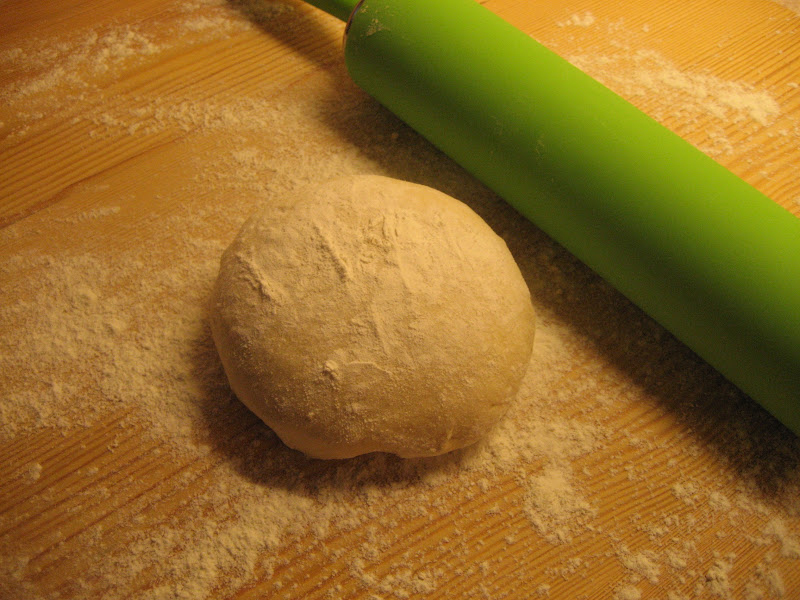 Divide the dough into two parts, one a bit larger than the other. 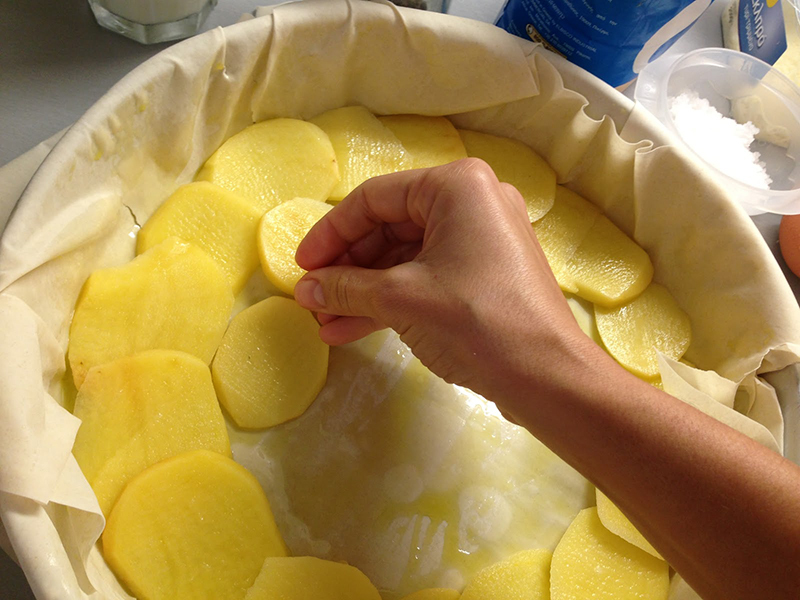 Roll out the larger sheet, oil a large baking pan and place the sheet in it. 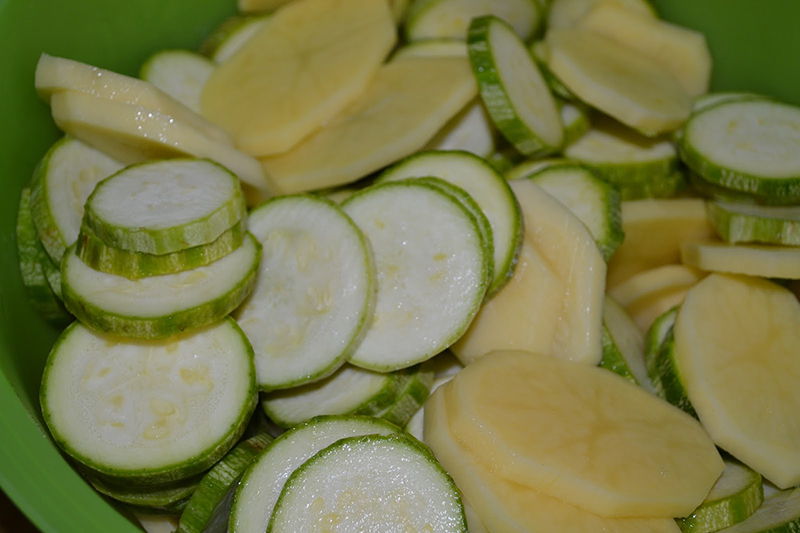 Wash the zucchini and cut them into very thin slices. Salt them lightly and drain them. 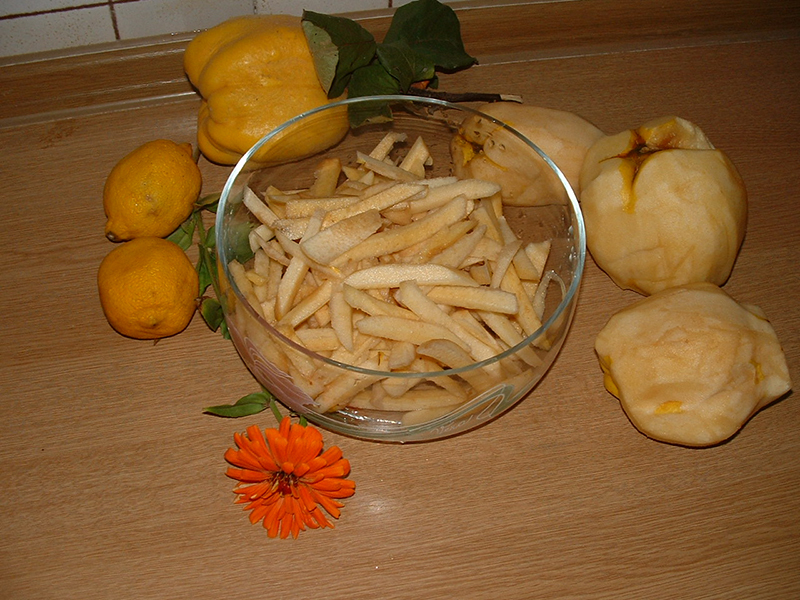 Peel the potatoes, cut them also into very thin slices and put them in another bowl with salt. Then, spread the filling ingredients as follows: a layer of potatoes, a sprinkle of flour, a layer of zucchini, a sprinkle with flour again, the half of each cheese and the half of mint. We make one more layer of all the ingredients. Just remember to spend only the half of the flour. At the end, whisk the olive oil with the milk, the eggs, the remaining flour and a little bit of salt and pepper. Dress the filling in the baking pan with this mixture. Your Booreki is ready for the oven! At the end, roll out the remaining dough in the size of your pan and cover the filling. Brush the surface with oil, sprinkle with sesame seeds and cut into portions with a sharp knife. Bake at 180 degrees (preheated oven) for 1, 5 hours at least. “Booreki” I s served warm, but even the next day, it has not lost any of its taste! Is there anything more traditional than the sweet quince made in Crete? 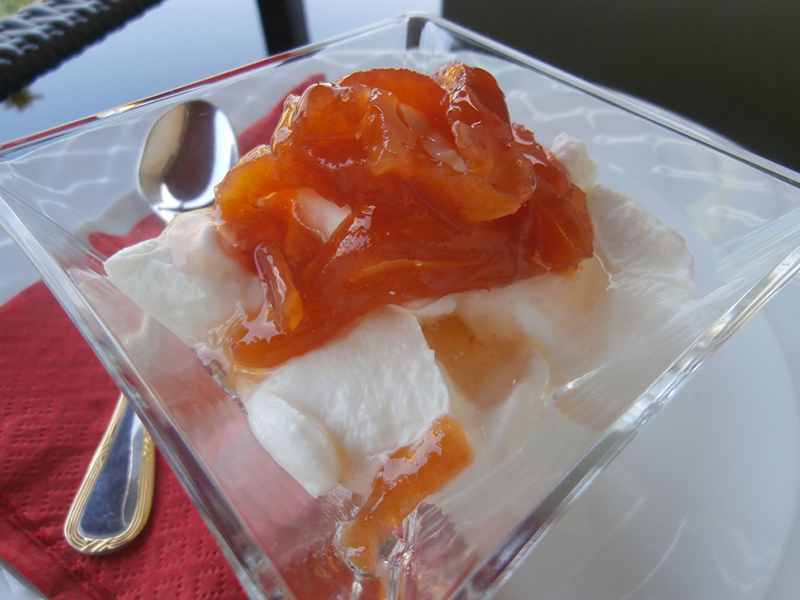 We recommend you this traditional Cretan recipe for dessert as the best option to end your meal! 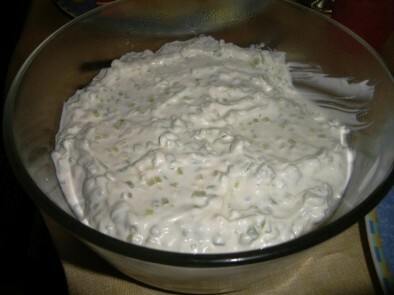 Taste it with Greek yogurt and accompany with a shot of raki. At first, peel the quinces, cut them into slices and throw them in a bowl with water and lemon juice (lemon juice preserves their color until you peel all of them). Drain the quinces and put them in a saucepan, covered with water. Boil over high heat until they are softened (not melted). After they are softened, you can drain them again. Take one more saucepan and put the sugar with two glasses of water. 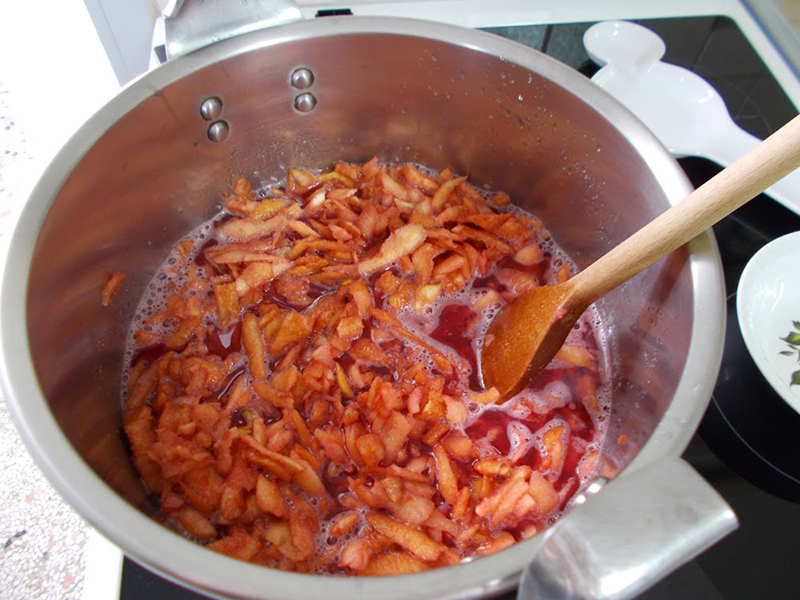 As soon as the water starts boiling, put inside the quinces with a tablespoon juice. Leave them for five minutes and then, take the saucepan from the heat. Leave the quinces in the syrup until the next day. Then, place the saucepan again over high heat until the syrup thickens. Finally, put your sweet in sterilized glass jars. 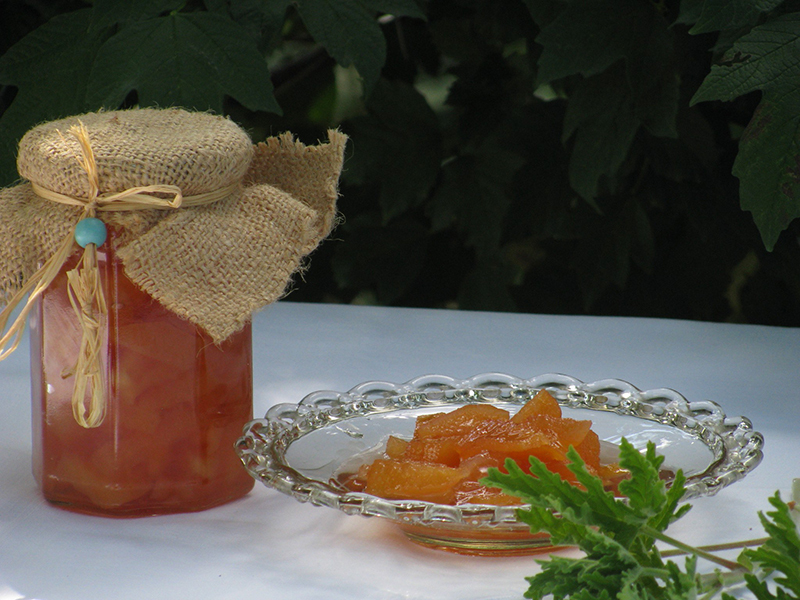 This sweet delicacy can be stored in a glass jar and stay good for months! You can treat your guests or accompany your afternoon coffee with it. Posted on 25 Nov 2015 in Cretan Culture and tagged Cretan Food And Drinks. Last Minute Crete Holidays; It Is Never Too Late To Get Organized!